Last week we published our research on startups and digital skills, BamGoogled: Digital skills among newly registered businesses. The report highlighted that while digital skills are bad among small businesses they are worse among newly registered businesses. The report showed that the vast majority of new businesses being started in the UK lacked the skills to promote their business online. While there is some debate about how much time new businesses should devote to learning the ins and outs of HTTP response codes, most people would agree that it is a good idea for new startups to know the basics of digital marketing. Knowing the fundamentals of how the search engines and social media networks operate will at least allow startups to plan how their business should look online and pick someone legitimate to outsource the work to if they don’t want to take it on themselves. 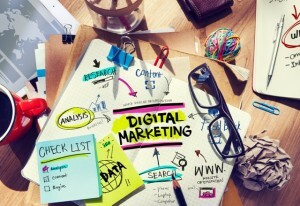 There are a growing number of resources out there for startups and small businesses who want to improve their digital skills. Below we have rounded up five of the best. 1. 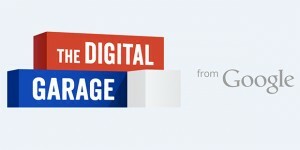 Google Digital Garage – One of the newer resources on the block, Digital Garage is made up of 23 separate lessons covering the basics of SEO and online marketing. There is the option to create a personalised learning plan to cover just the bits you need or the option to go through all 23 lessons and earn a certificate of online proficiency. This option is probably best suited for absolute beginners as the first few lessons are very basic. If you really want your badge you can skip the video lessons and just take the quizzes. 2. Google’s SEO Starter Guide – This document has been around for a little while and it is one that we regularly share with clients. Some of it is a little technical but it is fairly comprehensive and covers how your website should be structured, what content to put on it and how to promote it. If you are having a website built for the first time then it is worth sitting down and having a read of. Another bit of Google guidance worth a read is their content quality guidelines. Discovering and rewarding quality content (and punishing poor content) has been a major drive for Google in the last couple of years and looks set to continue so it is worth making sure the content on your site is up to scratch. 3. Moz Beginners Guide to SEO – while the Google guide is fairly comprehensive the Moz Beginners Guide to SEO covers just about everything you could want to know about search engine optimisation. It comes in 10 chapters covering everything from keywords and links through to usability and results tracking. 4. Moz Beginners Guide to Social Media – like their SEO guide Moz have a pretty detailed guide to social media marketing (12 chapters this time). If you want something a little quicker then HubSpot have a good collection of videos giving introductions and step-by-step how to guides to using Twitter, Linkedin and Facebook. 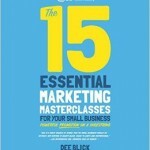 Dee Blick’s Essential Marketing Masterclasses – Dee Blick has written a couple of books on marketing for small businesses with lots of advice on how to do things yourself on a shoestring budget. Her Essential Masterclasses book covers everything from making a marketing plan through to writing copy for websites, email marketing and the effective use of Twitter and Linkedin. She also covers offline marketing techniques including press releases and direct mail. 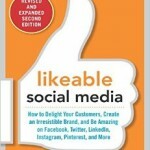 Dave Kerpen’s Likeable Social Media – Likeable covers social media marketing in a lot more depth. A lot of the book isn’t about the technicalities of how to create a post but is about the tone of voice to use, etiquette and how social media fits into the wider business. It is worth getting the revised edition of the book as it covers some of the changes that Facebook brought in that make it less friendly for businesses to use. Andy Maslen’s The Copywriting Sourcebook and his Write to Sell – Google are placing more and more emphasis on quality content on websites but it is also important that the content on your site (and in emails and on flyers) really sells your business. Writing copy that sells is an art in and of itself. 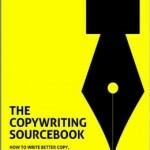 Andy Maslen’s books look at the theory behind writing good copy but are also full of practical tips and cheats. As well as writing for traditional sales letters and brochures they also cover writing for websites, emails and online adverts. 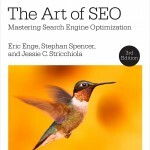 The Art of SEO – If you want to get really, really in depth with promoting your website then The Art of SEO is the book you need. The 3rd edition comes in at over 900 pages and covers everything from technical issues around site structure through to keyword research and social media. As well as the resources above The Company Warehouse provide a range of guides including How to Get on Google and How to Promote Your Business on Social Media through the members area of our site. Our Business Consultants are also available to assist with SEO consultations and digital marketing planning.